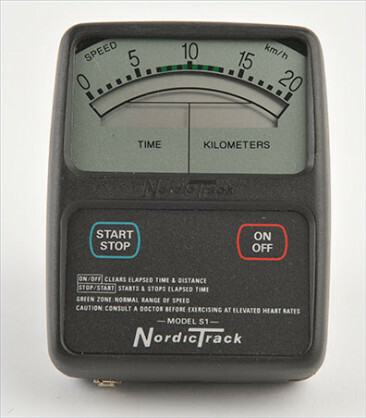 The S1 monitor was the first monitor that NordicTrack had produced for the ski machines, if you had a skier in the late 80’s it would have come with this monitor. 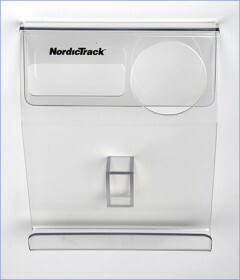 This NordicTrack monitor will work on any wood style skier that was produced from 1976 to the present. The S1 NordicTrack monitor was the most reliable and easiest to use. It has a digital bar that moves across for your speed. In the lower left corner it tells time and the right hand corner it tells distance. This monitor was manufactured in Canada so it measures in kilometers. NordicTrack wanted the monitors in kilometers as they were becoming a worldwide company at that. We have an exclusive contract with the original manufacturer who supplied NordicTrack. You will not find this monitor anywhere else. It uses one 9 volt battery to power it up(not included). We include a cord that reaches from the monitor to the upright tube. 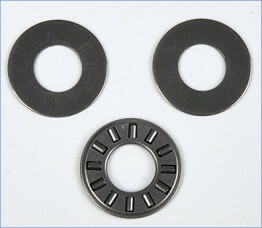 A mounting bracket is also included. 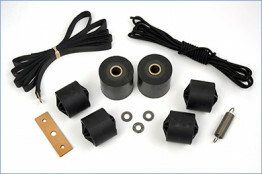 The mounting bracket attaches to the arm tube by using double sided sticky tape. We also have a selection of many different types of used reconditioned monitors that NordicTrack had produced all through the 1990’s. If you would like a price for a replacement of your exact monitor please email us at chad@nordicparts.com with a photo of your exact monitor and we will get back to you on price and availability. Before you consider replacing your monitor you may just need to change the batteries and if you have corrosion on your battery contact points you may just need to scrape it off and clean it with baking soda. 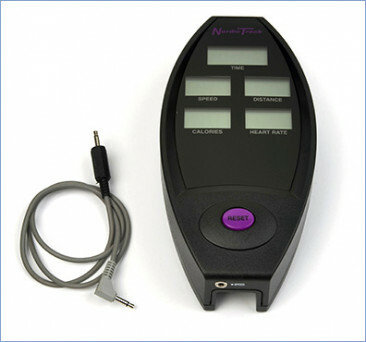 If your monitor lights up but doesn't move from zero’s then you most likely will need to replace the cord that reaches from the monitor to the upright tube which we call a power cord and it is listed on our site for $17.00.